So Venom caught Doomsday? A bit out of his league I think. Not The Lizard, no Connors anyway. Generic Crocodile Monster #36, I'm assuming. 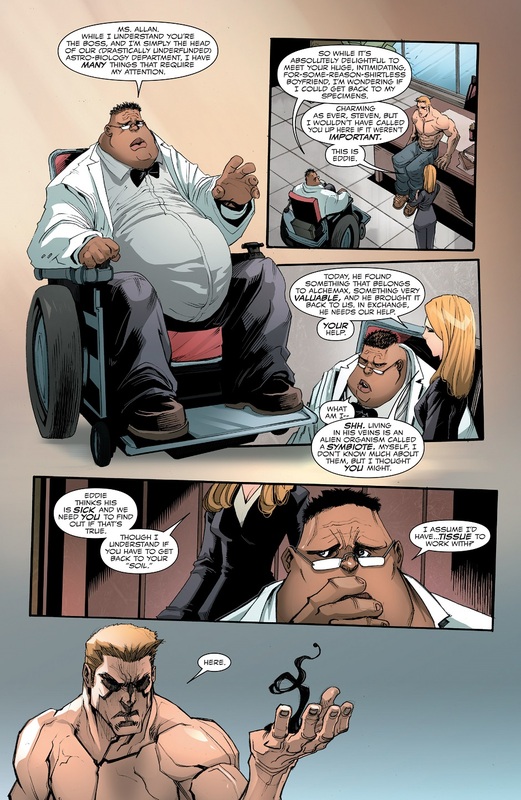 The guy in the wheelchair reminds me of Chunk, Wally West's friend from the post-Crisis issues of The Flash. Oh thank you. That was going to drive me nuts. 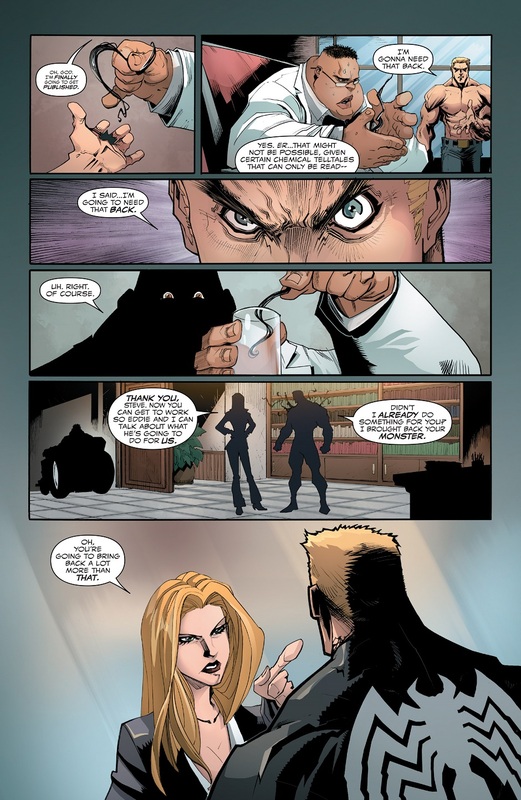 Might I ask, why can't Venom just tell Eddie Brock about Klyntar? It's probably for the best the symbiote works better as a monster species, plus the Nova Corp have that covered. My suspension of disbelief is shaken when someone has the gall to act smug toward Venom of all people. 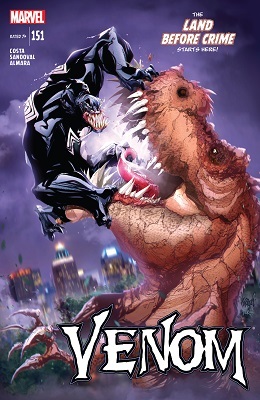 Soooo.... Did we just witness the origin of a new symbiote-based villain? I mean, all the ingredients are there: Scientist, smug, feeling underappreciated, crippled, getting his hands on a creature capable of transforming anyone into a superpowered juggernaut, AND has been known to make a paraplegic walk again... 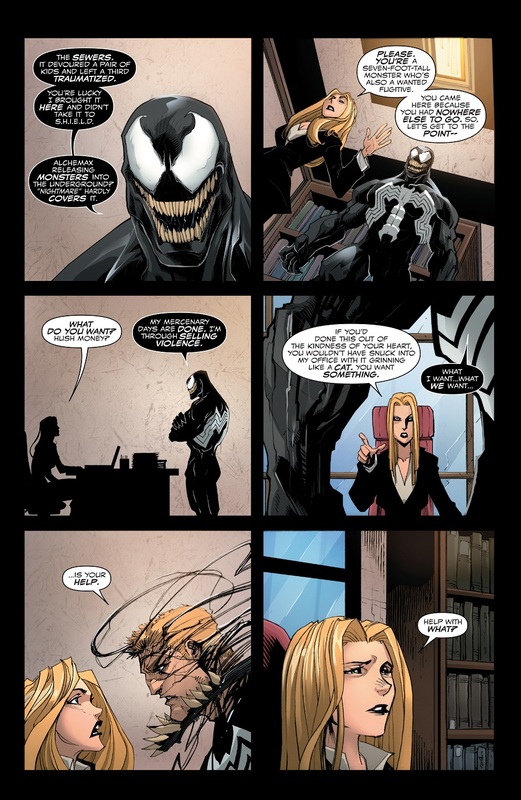 Sounds like a future The Superior Venom to me.